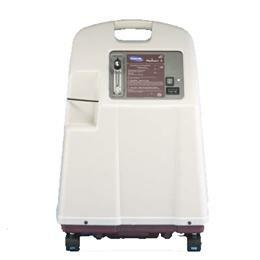 The Invacare Platinum XL concentrator features an upgraded compressor that extends the time before preventative maintenance is required by 40%. The unit features quiet operation, a top handle and bottom recesses for easy handling and side door access for inlet filter maintenance and diagnostics. It is also compatible with the HomeFill Oxygen System (see Oxygen Miscellaneous), and comes with the SensO2 oxygen purity sensor. 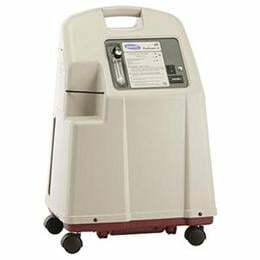 The concentrator also features various alarms, monitors, and safety systems, such as a battery-free power-loss alarm, Sieve-GARD monitors which monitor sieve performance, a low flow alarm, and a Compressor 35 psi pressure-relief valve. 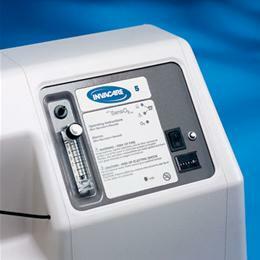 Fitzsimmons offers the unit with Invacare's patented SensO2 oxygen monitor, which analyzes the purity of the oxygen. For additional product information, including advanced technical specifications, further features and benefits, and larger pictures with descriptions, click on the Product Detail PDF located below, under the Additional Resources tab.